I'm curious what others with custom surf boards are doing for storage besides surf sleeves? I've seen other say not to use the clamping racks on board like Soulcraft, so I thouhgt maybe a ZFT2 rack with bungees may be an idea? Does anyone know if the racks on the ZFT 4 and 2 are interchangeable? Interested in this as well. Just ordered my soulcraft. The MC surf finger clamping racks work well and protect the SC glass. A friend put one of my SC’s in his G23 bungee rack which compressed the board edge into the tower side and caused a bit of damage. As you note the surf sleeves are best though you need to be leery of baking any board in the hot sun. Last edited by moosehead; 03-16-2019 at 02:35 PM. 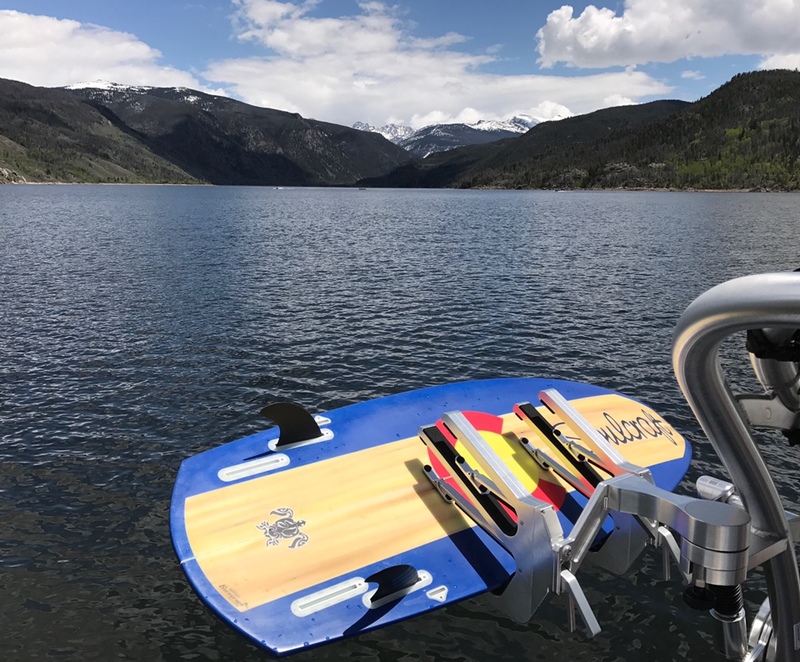 The surf/wake rack is designed for thicker surf boards. If you have wake/wake, you could swap it out for a surf/wake. Some have added vertical surf/wake racks to the ZFT4 tower.